AC/DC drummer Phil Rudd has appeared in a New Zealand court on charges of attempting to arrange a murder. Phil Rudd, who was born in Australia, has also been charged with possessing the drugs methamphetamine and cannabis, and of making threats to kill. The musician’s waterfront house in Tauranga, on New Zealand’s North Island, was raided on Thursday morning, November 6. 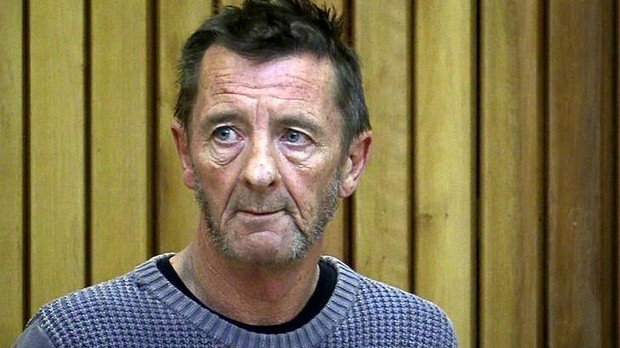 Phil Rudd, 60, was released on bail after a brief appearance at Tauranga district court. Phil Rudd will appear in court again on November 27. He has yet to enter a plea. Under New Zealand law, the charge of attempting to “procure” a murder carries a jail sentence of up to 10 years. A police official quoted by the SunLive news website said the information that led to the raid on the house was provided by a member of the public. Phil Rudd was kicked out of the band in 1983 and rejoined in 1994. Phil Rudd did not appear in a new photo of AC/DC members released last month to promote their upcoming album Rock Or Bust, and was reportedly absent from the filming of a new music video, prompting online speculation about whether he was still in the band.